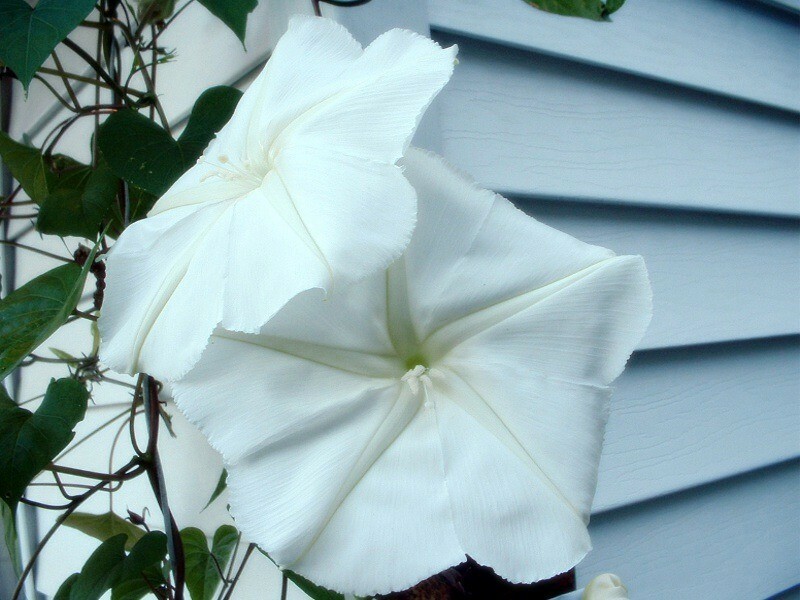 Some time back, I submitted my views on how it was usually not necessary to soak or nick Moonflower Vine seed prior to planting. I added that I had a seed to germinate in six days without either. The picture shows the vine and it's bloom that resulted from that particular seed. I plan to harvest all the seed from this vine. I will plant then in the Spring. I am hoping that from all those seed, I will get at least one that will germinate in five days without nicking or soaking.